Belo Sun's Volta Grande Gold Project will source water from the Xingu River, some 20 km south of the Belo Monte Dam. Photo: Fred Almeida/Wikimedia. Some Rights Reserved. A Canadian company is planning to build the soon-to-be largest open-pit gold mine in Brazil, located in the heart of the Amazon forest on the banks of the Xingu river. Brazilian activists, NGOs and advocacy groups, however, are waging a legal battle over the land. Belo Sun Mining Corp., which is headquartered in Toronto, is behind the Volta Grande Gold Project, which plans to extract 600 tons of gold over the course of 12 years. The mine will generate toxic waste two-fold the volume of Rio de Janeiro’s Sugarloaf mountain. A community of 300 families, who live off the land in Vila da Ressaca, Galo and Ouro Verde villages, will have to be relocated should the project go forward. The company, which began researching the area in 2008, secured permission in early February from the Pará state government to begin construction, but on February 22 a state court suspended that permission for 180 days by upholding a suit filed by Pará’s public defender’s office. In the ruling, judge Álvaro José da Silva Souza says he will refer the case to the federal public prosecutor’s office to conduct an investigation into whether the company engaged in land grabbing when it purchased federal public lands. The lands in question, Vila da Ressaca, Galo and Ouro Verde, make up an area called Ituna, which was destined in the 1980s by the federal government for the use of rural people in the context of agrarian reform. The ruling also states that in the last three years, from the issuing of a preliminary permit in 2014 and up through the recent granting of a construction permit, the company did nothing to relocate the affected riverland peoples in a dignified way. “I understand it to be completely absurd and unjustifiable that currently the families are still at the mercy of their own luck,” the judge’s decision reads. The ruling gave the company 180 days to devise a plan to relocate the families and requires the company in the meantime to ensure the families’ access to the lands in question. The location of the proposed mine has already been severely affected by an unrelated development project, the Belo Monte hydropower dam, which started its testing phase in late 2015. The dam has reduced the water flow of a 100-kilometer stretch of the Xingu River by 80%, in addition to having killed off fish, worsened water quality and drastically changed the way of life of many indigenous and riverland populations since its construction began in 2011. Environmental fears surround the Belo Sun’s gold-mining project, given the recent tragedy near Mariana in the state of Minas Gerais. In November 2015, a dam burst at a mine belonging to Samarco — a joint venture of mining companies BHP and Vale — and poured billions of liters of waste in the Doce River, killing 19 people and leaving 700 homeless. A technical note issued by Belo Sun in 2012, which addressed concerns brought about in a public hearing, was conducted by the same engineer who had attested to the safety of the Mariana dam four months before it burst. In November 2016, he, along with 20 other executives, was indicted for homicide by a federal court. The indigenous communities directly affected by the Volta Grande Gold Project have not been consulted as is provided for in the 169 Convention of the International Labor Organization, of which Brazil is a signatory. 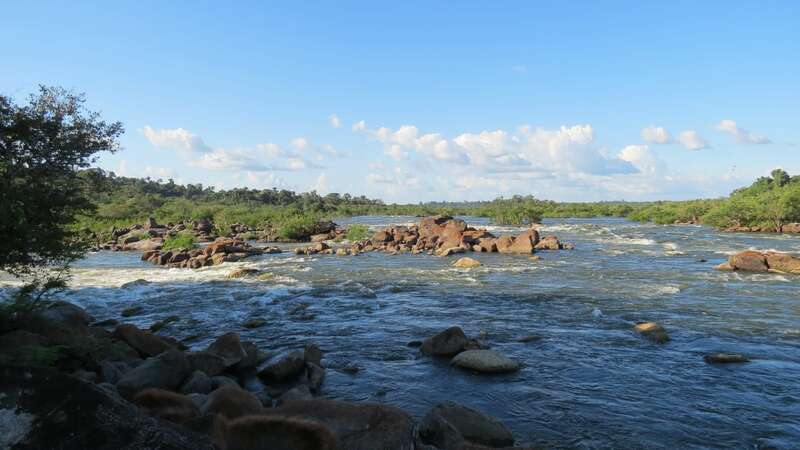 Six days after the issuing of the construction permit in early February, the mining company published on its website, only in English, a detailed exploration plan that encompasses 120 kilometres throughout the Xingu River. If the company were to implement the plan, at least four officially designated Indigenous Lands (Terras Indígenas) would be affected: Paquiçamba, of the Juruna people; Ituna/Itata, where isolated indigenous peoples live; Arara da Volta Grande, of the Arara; and Trincheira Bacajá, of the Xicrin peoples. Brazilian legislation states that constructions permits in this area should be done at the federal level (rather than by Pará state government) because it directly affects indigenous lands. Belo Sun published on their website a map with their planned activities, without showing the adjacent indigenous lands. Instituto Socioambiental produced this map that does. As of now, there hasn’t been any consultation of the peoples that could be impacted if the project moves forward. “From the way it is on the map, it looks like there are no indigenous peoples there. For Belo Sun there is no one there,” says Mukuka Xicrin, a leader of the Xincrin people. The permit granted by Pará state in February also bypassed a motion issued by Brazil’s public authority on indigenous matters (the National Indigenous Foundation, or FUNAI), which demands reassessment of the impact on indigenous peoples and considers a study presented by Belo Sun to be insufficient. Both federal and state public defender’s offices filed a suit to halt the permit, with the latter’s suit being upheld by the state court. The federal prosecutor’s office also filed a motion directed at Pará’s environmental agency recommending against the permit. The prosecutor’s office had already filed two other suits against the project in the past. This article is a compilation of two stories by Instituto Socioambiental, a Brazilian NGO that defends environmental and indigenous rights. It was edited into one and is published on Global Voices. It has been re-published on IC under a Creative Commons License.